Jenny said when she was just five years old there was nothing going down at all. Then one fine morning she heard the 220th most acclaimed album of all time. The Velvet's 1970 swan song is this week's Counterbalance. Mendelsohn: I’m not going to lie, Klinger. Of all the Velvet Underground records, I like Loaded the most. I know its not the hip choice. It isn’t the groundbreaking, Warholian debut with Nico, it isn’t the well-regarded self-titled change of pace, it isn’t even the dirty fuzz box of White Light/White Heat. But Loaded excels where all those other albums failed — it brings the hits. They could have called it The Velvet Underground Sells Out. I would still buy a copy. Why? Because Lou Reed was one of the finest rock songwriters of his generation. He had the ability to marry the warm sensibility of pop music — the hooks, the undeniable beat — with an undercurrent of seediness, the vague, foul odor of rock and roll. Loaded is at once happy and subversive. It’s the album I would expect Reed to write when pressed by the record label to bring the hits, which is what they did. Whenever I drop the needle on this record, I’m greeted by “Who Loves the Sun", and the mental image of the Velvet Underground banging out this pretty little ditty while Lou Reed just stands on stage, scowling at the audience and flipping the bird. What do you think, Klinger? Is this record a giant middle finger to the music industry? Is Reed playing the part of Ty Cobb — hitting home runs just to show the young guns how easy it is? Or is Loaded the Velvet Underground’s final stab at mainstream success? Klinger: Well, it might be all of the above. Once Verve had finally given up on the group, Atlantic Records' Ahmet Ertegun stepped in and said he'd sign the group to his Cotillion subsidiary — if they promised not to include any drug songs. So Loaded is kind of a play on words, with the group making the audacious claim that the album was loaded with hits. It wasn’t, of course, and it ended up being Reed's last album with the group. Mendelsohn: That didn’t stop Reed from writing a song about prostitution. Klinger: Yeah, prostitution's fine. But Loaded may also sound a bit more commercial because we’re not hearing Maureen Tucker’s delightfully primitive drum stylings here. Instead, the duties were taken over by still-relatively-new guy Doug Yule, or his brother Billy, or possibly some session guys or studio engineers — record-keeping was apparently sketchy back then. In fact, Yule's role within the group seems to be a bit curious as well. The Velvets' manager Steve Sesnick was apparently keen on placing Yule at the center of the group. It’s possible that's the reason it’s Yule singing on "New Age", "Oh! Sweet Nothing", "Lonesome Cowboy Bill" and "Who Loves the Sun". Whether Reed simply felt that these songs needed the purer touch of a boy singer or it really was a ploy for mainstream acceptance has never been especially clear to me, but Loaded is obviously taking a far different path than the other albums. And you're right — their first two albums are ultra-hoppy IPAs that are an acquired taste, the third album is a creamy mellow stout. But Loaded is a quality lager, suitable for drinking in mass quantities year round. Mendelsohn: Yes, Loaded is slightly sweet, kind of corny and a little watered down, but man is it smooth. It was tailor made for mass consumption so I’m a little surprised it ranks so low in the Velvet Underground oeuvre. 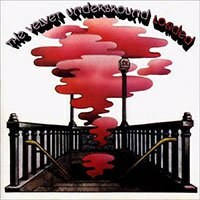 The previous statement is a little misleading since all four of the Velvet Underground’s albums rank in the Top 250 of the Great List, with Loaded bringing up the rear at a respectable no. 220. And no, I’m not going to count the live albums, the compilations or Squeeze, the Velvet Underground album recorded solely by Yule. Well, I’m not all that surprised. The push by the record company for hits and the changing dynamics within the band presented a Velvet Underground that was world’s away from its original incarnation. We’ve seen this over and over again as highly-respected bands evolve or dissolve, leaving behind a trial of blood, sweat and wax. There wasn’t a big break up, no real theatrics. Reed left the group, spent a couple of years taking pot-shots at his former band members in the press before moving on with his life and letting bygones be bygones. Klinger: Not to mention that he was so discouraged by rock and/or roll that he took a typist job at his father’s accounting firm until David Bowie cruised by in his enchanted chariot of glam and made him a star. Mendelsohn: Still, I can’t help but be enthralled with Loaded. It shows off a band hitting their stride in the oddest possible way as a bunch of freaknik rockers get pushed into a room and told to write a hit record that ends being the band’s most cohesive work as Reed and Yule mix everything they’ve learned into 40 minutes of easy-breezey rock and roll. The more I listen to Loaded, the more I’m convinced this record is possibly the pinnacle of the Velvet Underground. Could Loaded have been better, Klinger? Could it have been sweeter than “Sweet Jane” and “Who Loves the Sun”? Could they have written a better ode to rock and roll than “Rock & Roll”? Could the freak out at the end of “Oh! Sweet Nuthin’” been a little freakier? Probably, but I keep looking for ways to make this record better and I keep coming up with nuthin. Sweet, sweet nuthin. Klinger: I see what you're saying, and I'll say that Loaded is an album that makes its way into my playlist with surprising regularity. But it really can't compare to the innovations that they made with the first album. Not to mention the fact that the innovations that they made ended up being so fully accepted by such a broad swath of followers — to the point where they ended up creating an almost parallel Bizarro World version of the mainstream. So as much as I enjoy Loaded, I have a hard time considering it the group's pinnacle. After all music's not just about enjoyment. It's also about solemn appreciation of influences and celebrating Nico. Besides I can't help thinking that something unalterable left the group when John Cale left. It's that tension, you know, that keeps the strings in tune. Ultimately that's the key point to remember about the Velvet Underground: No matter how many layers of feedback they slathered all over everything and no matter what depth of depravity they chronicled, Lou Reed was always at the group's center. And Lou Reed was, at his center, the kind of guy who had done his time schlepping his way around New York churning out knock-off pop 45s like "Do the Ostrich" and "Cycle Annie" for Pickwick Records and the like. You certainly hear it here on Loaded, both in terms of the pop sensibilities and in the breadth of styles throughout the record. But is a pop album, even a great one, something that can measure up to one of the most influential records of all time? I ask you. Mendelsohn: No, Loaded cannot compare to The Velvet Underground and Nico or The Velvet Underground or White Light/White Heat (although I would argue vehemently in favor of Loaded being the better record there). I’m no fool, I know there is a reason the Loaded is number four on the Velvet Underground’s Top Four (only four) records. Reed had one foot out the door, eying solo success, as he inched away from the center of the group. Even so, he could still knock out the hits. I will quickly (and hypocritically point out) that it has been a while since either of us has chastised the other for comparing the works of artists against themselves. We are here simply to evaluate the indecipherable mish-mash that is the Canon. In that respect, Loaded holds its own and that’s good enough for me. I’ll still reach for this record when I need a little dose of Vitamin VU. And I’ll happily sing along to “Who Loves the Sun", as I imagine Reed sitting on a cloud somewhere, giving us all the middle finger.